Does Nivea Test On Animals? Cruelty-Free? In regards to skin care, consumers are in a better place now than they’ve ever been before. An abundance of options provided by companies big and small has resulted in competitive pricing, options galore, and advancement in terms of quality over the course of years. However, once upon a time, the skin care game was fairly limited. A long time ago, you were lucky if you could find any skin care products at all, let alone different kinds of lotions, moisturizers, oils, treatments, masks, etc. 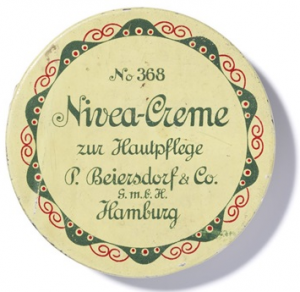 Before there were any of these exciting and useful options, there was a creme, a creme that consumers turned to and have continued to turn to until this day despite the building number of options and competitors: Nivea. Named from the latin words “nix, nivis”, meaning “snow white”, Nivea was and remains the flagship product of the company by the same name – a white skin care creme designed to promote skin health and appearance. This creme was originally introduced in 1900, and over one hundred years later the German personal care bran has only grown, improving on that original formula and building a family of skin carme products to surround and complement it. In addition to their patented Creme, the company offers a host of different products designed to treat skin in a variety of different ways. This is one important way in which Nivea distinctively differs from most companies who offer skin care products. While Neutrogena or L’Oréal, for example, focus development on cosmetics and hair care as well as skin care, Nivea has just one focus: helping your skin. Bath Care: Cream Shower, Shower Gel, Soft Soap. Body Care: Lotion, Nivea Milk, Cream, Nivea Whitening, Body Oil. Deodorants: Spray, Roll On, Talc, Extra Care, Anti-Bacterial. Face Care: Facewash, Refining Scrub. 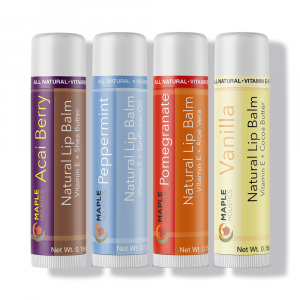 Lip Care: Stick, Tube, Essential Care, Men’s Care. Sun Care: Sunscreen, SPF 30, SPF 50. Men’s Care: Face Cleanser, Shaving, Face Moisturizer, After Shave, Shower, Deodorant. Nivea Creme and Nivea Soft. 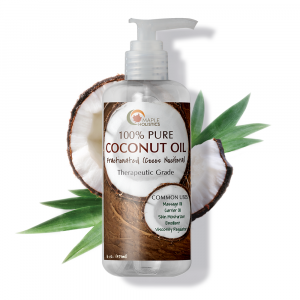 Here at Maple Holistics, we’ve been covering a number of different personal care and cosmetics companies and their histories. A common theme has been of companies and brands which were started towards the beginning of the 20th century, but now it’s time to take a trip a little bit further back in time. In 1882, pharmacist Paul C. Beiersdorf began to develop products of his own in his home laboratory. Although primarily experimental by nature, Beiersdorf’s research eventually led to the development of what would become modern-day plaster technology, as well as some cleaning products which laid the foundation for the skin care products to come. The lab would soon be bought by Dr. Oscar Troplowitz, a pharmacist who, in conjunction with leading dermatologist Professor Paul Gerson Unna, developed the worlds first oil-and-water based creme for skin. This product was known as NIVEA Creme, and it was truly ahead of its time. Ushering in the age of modern skin care, their proprietary creme achieved unprecedented cosmetics/personal care success, growing wildly popular thanks to its ability to soothe, moisturize, and enhance the texture of skin. In the wake of the success of this flagship creme, the HBA company began to expand its catalogue, introducing talc, soap, and hair milk in the early 20th century. As the scope of their ambition and development grew, so too did its global reach. The rise of airplane travel and transport made company expansion an easier task, and they took full advantage, making its products available on every continent within just three years of the launch of Nivea Creme. Today, these skin care products are available in over 200 countries, but for the early 1900’s, making it to every continent was an even more remarkable feat. With their finger already on the pulse of the growing skin-conscious community, the German healthcare brand recognized the growth in prevalence of men sporting mustaches or facial hair in the 1920’s, and thus introduced the first shaving cream for men. This product was accompanied by the first packaging and branding of Nivea with the color blue, a marketing and branding decision that would help define the company. The 1950’s saw the growing company revolutionize beach time in a couple of different ways. The advent of Nivea’s Ultra Oil Spray, which would become the first popular spray-on skin accessory of its kind, changed sun skin care forever. The company also released the Nivea ball in the 1950’s – a beach ball sporting the company logo that enhanced the Nivea brand and changed the way folks approach beach time. The 1960’s brought the excellent Milk moisturizer, the 1980’s a game-changing shaving soap and cream, and the 1990’s the release of products aimed at servicing older women and aged skin. More recently, the German company’s anti-aging formulation breakthroughs have helped make wrinkle-elimination an easier task than ever before. If there has been any one consistency in Nivea’s approach to business, it has been a sure and steady rise in terms of global reach and product development. They have never stopped developing, never stopped growing, and never stopped caring – and it doesn’t look like that’s going to chance any time soon! Not only does Nivea create quality skin care products, it does so in a way that is environmentally conscious and wholly ethical. The company prides itself on having taken up the call in refusing to test products on animals in advance of the EU banning of animal testing for cosmetics products in 2004. More so, all of their affiliates in Australia and New Zealand now do not conduct animal testing. In China, however, where such animal testing practices are mandated, Nivea does allow its products to be tested by the necessary government institutions. 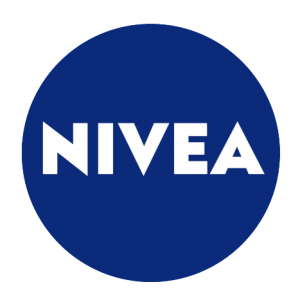 Still, Nivea remains an active participant in the fight against animal testing and has a stated goal to convince the Chinese authorities that this form of testing is not necessary. Nivea has launched and undertaken a number of charitable efforts over the course of their many years in business. This includes “A World of Books for Children in Vietnam”, which involves Nivea building “blue libraries” in order to promote the improvement of Vietnamese children’s reading. “Side by Side with Mothers” is a Nivea project in France which helps provide mothers in need and their children with access to childcare centers. 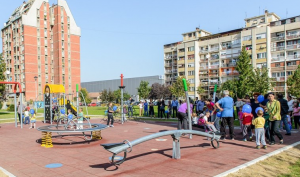 Finally, “Time for the Family” is the name for their venture of building new playgrounds in Serbia and renovating older ones – an effort which is ongoing. As one of the oldest personal products still in existence today, it’s easy for us to assume that the formula will be outdated. Thankfully though, Nivea has made a few changes to their formula in more recent years which means that the product is still up to scratch with the demands of the modern beauty product consumer. However, due to a difference in policy, the creme differs slightly in Europe to the one in America. This is because the EU has placed bans on a variety of different chemical ingredients that are generally included in personal products which America has yet to ban. So some users have stated that the EU version of the creme is slightly better for your health than the US version, and that it has a more manageable texture (due to it being free of sulfates, parabens and the like) but I’ll let you decide this. 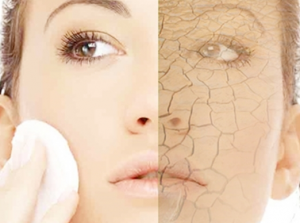 Mineral Oil (said to block pores, disrupt hormones and damage the skin, this oil is best left for industrial uses only). Paraffin (harmful to the skin and hormone balance, a known carcinogen). Alcohol (tends to dry out the skin and leads to the formation of free radicals, speeding up the signs of aging). Magnesium Sulfate (sulfates are always bad for your skin and health in general). Aluminum Stearate (known to disrupt reproduction hormones, also a known carcinogen). Fragrance (loaded with alcohols and other free radical producing chemicals). Methylisothiazolinone (has been known to cause nerve damage). When we take a closer look at the ingredients list, it’s a bit easier to see why I wouldn’t recommend using this creme on a regular basis for general skin health. generally, I tend to use natural products like essential oils to keep my skin nourished and hydrated. This is simply a better option in general as it’s safer and more effective. So think twice before you decide to spent your cash on a bottle of this creme. For roughly $2 – $4 more, you can get a natural treatment that is just as effective on dry and oily skin types without the downside of all those harmful chemicals – or source the EU version of the creme. Safe beauty is good beauty and healthy skin is beautiful skin. 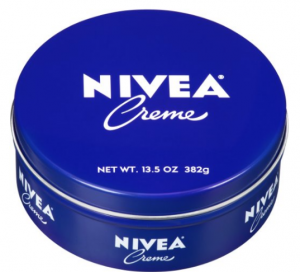 The iconic Nivea creme tin. 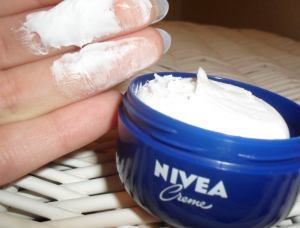 We can’t very well conduct a Nivea overview without reviewing Nivea Creme, can we? That would be sacrilege! It’s rare that I have the opportunity to review a product that I have years of substantive experience with, but I will enjoy taking full advantage of it! First off, Nivea Creme is a product that I haven’t been using my entire life, but one that I certainly have been seeing my entire life. When my mother was growing up, she didn’t have the same number of options in terms of skin products to choose from as we do today. As such, she relied heavily on Nivea Creme. Despite these consumer limitations, Nivea did the job for her that some folks today may employ five different gels, creams, moisturizers, and cleansers to! She used Nivea Creme on her face and body for all purposes, and it never failed her. My mother’s skin stayed moist, clean, bright, and fresh – all thanks to Nivea Creme! Remarkable, isn’t it? Dry skin isn’t easy to deal with. My own story is a little bit different than that of my mothers. Growing up I encountered the same problem that so many tragic souls seem to in the early teenage years: acne! This was my first exposure to the importance of skin care, and it was certainly eye-opening. Pimples and zits nearly ruined my life (or at least it felt that way), and my sole focus was on limiting my acne as much as humanly possible. Nivea Creme, being a product that does not specifically target acne, was off of my radar – you could find me wrist deep in a jar of zit cream, not worrying about my skins moisture retention! However, as I grew out of this stage (thank God!) and into my adult years, my focus did shift to more generalized skin care. Being something of a rookie, I dismissed my mother’s Nivea-Creme-fits-all approach to skin care and attempted to build a regimen of my own based on various company brands, products, and treatments. When this didn’t work and left my skin in a worse state than the skin of my much-older mom’s, I decided to give “old reliable” – Nivea Creme – a try, and it changed everything! Before I talk about what Nivea Creme has done for my skin, let me offer some background in terms of my natural skin: it’s dry as heck! This sort of problem must be genetic, because my mom suffered from the same woes, and as she tells it, so did grandma! In any event, moisturizing creams aren’t exactly tough to find in the beauty aisle of your local pharmacy, and it feels like I went through that entire aisle before I got to Nivea Creme – which did a better job than all of them combined. Not only does daily application of Nivea Creme add moisture to my skin, it helps my skin to retain moisture, which has made for a healthier, more natural looking facial complexion. I use Nivea Creme everywhere though, not just on my face, and it has kept my body feeling soft and gorgeous – softer than it ever did when I was using different “body butters” and made-for-body moisturizers, anyway! I don’t just use Nivea Creme, I swear by it, and for myself and many others it isn’t difficult to see how it has maintained its success over the course of a century – the stuff just works. Seeing that little iconic blue tin in my bathroom cabinet just gives me confidence knowing that I have Nivea on my side and ready to help my skin look its best! Of course, you could always try a DIY Natural Moisturizer. 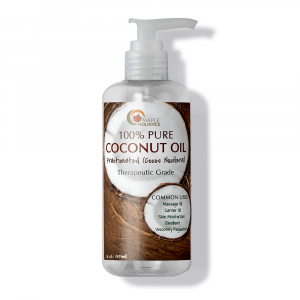 Thanks for reading our Nivea feature – check back for more other great companies like Beautycounter, Lush, Urban Decay, and Olay here at Maple Holistics! What more can be said about Nivea? There’s a reason the company has stood the test of time and remains just as respected and celebrated a skin company today as it was in 1900. The proof is in the products, and Nivea products are among the most critically acclaimed and revered in the skin care industry today. Do yourself a favor and try Nivea Creme or any one of Nivea’s excellent products today – you won’t be sorry that you did!